We all enjoy eating food, different varieties of food as we need nourishment daily. We eat delicious tasty food which allow us to satisfy our hunger pangs. The problem becomes we’ll eat the easy convenient foods we know we shouldn’t, and usually to excess. The result is weight gain, bad health, fat accumulation, and a bad complexion. So whenever we do get hungry, we need to make it a habit of reaching for those foods which maintains our weight, or even capable of we shedding a few pounds by cutting down on calories. There are proven solutions to this, you can feel the sensation of feeling full, while not gaining weight. There’s a certain group of select foods which are delicious while keeping you trim. What you need is to focus on a diet which provides high fiber, while also being rich in protein, which helps in keeping you satiated while you reach your health designated goals. Cottage cheese is loaded with calcium, protein, and vitamin D, so it makes an excellent lunch staple, this along with a fresh salad and multi-grain toast crackers. What you might think you’re eating is a tasty creamy treat, but what this food’s capable of doing is filling your stomach while promoting muscle growth while boosting your metabolism. An extremely nutritious dairy product. When you’re looking for a vegetarian-friendly alternative to protein which doesn’t contain meat, Greek yogurt is an excellent choice. This product is also an excellent healthy alternate substitute when baking. 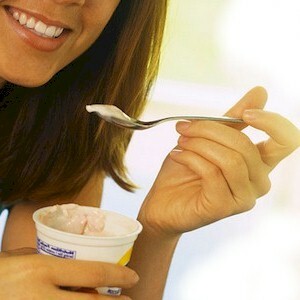 Greek yogurt serves up a double whammy of protein than does regular yogurt, while also offering an abundance of calcium. The taste is creamy and plain, so it can be used as a neutral dip, be included in soups and sauces, or in your favorite deserts. Eating high fiber from whole grain cereals should become a habit, as this is a tasty snack whenever you feel the hunger pangs. Some will even eat it for dinner, or whenever they’re in a rush and needs a quick fix. This is an honest completely balanced meal. Just eating one bowl has sufficient amounts of fiber to make you feel full, along with magnesium, antioxidants, iron, and the B vitamins. For additional taste, you can always add fresh berries in season, or slice up a banana if you crave for something sweet. There are a variety of delicious and healthy nut butters on the market, which includes almond, cashew, macadamia, and soy being the most tasty, popular, and beneficial. These natural nut butters are creamy and satisfying, and has the consistency of peanut butter without containing all the unwanted sugars. What each nut butter on toast snack provides is plenty of calcium, protein, and fiber, all this without needing to consume empty calories. Another fiber rich and protein packed alternative which makes you feel full, and this a specific favorite for vegans and vegetarians is hummus. What hummus, which is a chickpea spread packs are plenty of nutrients. So get into the habit of reaching for that jar of hummus instead of sour cream, mayonnaise, margarine, or butter, this to provide a tasty low fat low calorie salad dip or sandwich spread. There are a variety of different colors of lentils, green, red, and brown, but the food value that they provide are the same. You can prepare lentils by just simmering them and then adding to a salad. You can also easily simmer them into stews, soups, or sauces for an extremely protein and fiber rich food source that’s guaranteed to make you full. Lentils are one legume which are known to slowly release beneficial glucose sugars which keeps your appetite at bay for longer. Stay away from the convenient can of creamy mushroom soup or that store bought seafood chowder for a quick meal fix. What’s recommended instead are hearty vegetable soups as an alternative satisfying snack. These are broth based instead of being cream-based soups. Hearty vegetable soups such as puree tomato, minestrone, or chicken with wild rice packs a lot of fiber, protein, and the essential vitamins, which keeps you fuller while cutting down on calories. So begin eating a small bowl of veggie soup as a snack in the afternoon to effectively satiate your appetite. If you’re getting bored with eating the same old chicken breast in different ways to get your protein fix, then make the switch to eating heart healthy Omega-3 rich salmon. This can be a welcome change in taste. Especially when grilling or baking this excellent source of beneficial fatty acids and lean protein, which helps in keeping your insulin, appetite, and weight in check. Not only is eating a cup full of fresh preferably in season blueberries, raspberries, and blackberries tasty on the tongue, these fresh morsels of vivid sweetness packs a lot of fiber while keeping your calorie intake at a minimum. So go ahead and sprinkle your favorite berries on your cereals, Greek yogurt, oats, or create a smoothie to satisfy your sweet tooth, which also gives you the satisfaction of feeling full. When looking for a healthy munching snack, unsalted pistachios are the preferred choice as they’re one of the lowest calorie and lowest fat nuts available. Pistachios are considered a better food source than walnuts, cashews, peanuts, or almonds, when it comes to fat and calorie content based on equal servings. So go ahead and snack away on them, which also protects your heart while making you feel full longer.